Kenya’s masterplan on how to utilize technology to become a middle income country by 2030 is ready. An international team from IBM's Corporate Services Corps program has completed a month-long term in Kenya to prepare the plan that would also see Kenya fully digitize its voting system. This comes days after the government launched an open data portal providing crucial information on government services, income and expenditure to the public. The masterplan complements government’s efforts to digitize records to enhance e-services delivery. The IBM team also laid out a framework on how citizens can access government services via mobile phones through data digitization. The digitization of records means citizens can track public expenditure to the last shilling. You will for example know what I have been paid and for what purpose. Of course I also talked about e-procurement and judiciary. “Digitalization of all government registries will create traceability at all levels. See what has happened at Company Registry. Revenue is up from Sh30 million to Sh80 million. You will no longer have temporally registered companies with unknown directors as it happened with Anglo Leasing,” said Ministry of Information PS, Dr Bitange Ndemo. Working with the Ministries of Information, Communication and Justice, the IBM team has prepared a plan for a simple yet accurate and transparent e-voting system that sets out overall standards and governance for an e-voting system with the aim of increasing voter confidence for the planned 2012 elections. "This is the third IBM Corporate Services Team to provide volunteer services in Kenya. Each group has made a valuable contribution towards addressing some of the key challenges in the country," said Tony Mwai, IBM Country General Manager for East Africa. The team also worked with the Kenya Education Network Trust (KENET) to identify how to increase participation by researchers. They analysed best management practices from other research and education networks, and reviewed the implementation of more efficient methods based on IBM methodologies. Their recommendations included guidance on support to member institutions regarding content creation, by providing training, guidance and infrastructure, in order to engage researchers with the network. The Corporate Service Corps (CSC) is a global IBM initiative designed to provide small businesses, government agencies, educational and cultural institutions and non-profit organizations in growth markets with sophisticated business consulting and skills development to help improve local conditions and foster job creation. IBM deploys teams of top experts from around the world representing IT, research, marketing, finance, consulting, sales and business development to growth markets for a period of one month. The experts work with local organizations and businesses on projects that intersect business, technology and society. 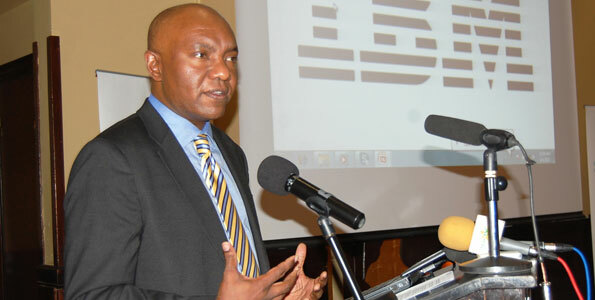 IBM has already worked with the government on restructuring Posta and is keen to implement the e-voting system ahead of 2012 general elections.